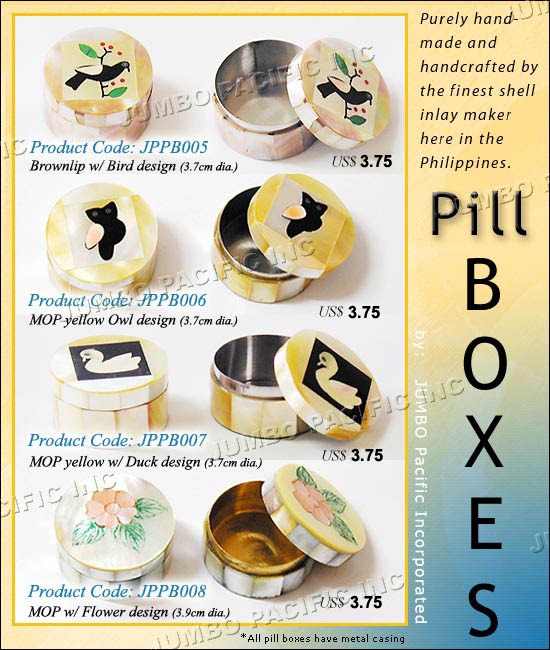 Pill boxes are hand crafted materials inlayed with shell. A shell that is very much affordable and available in any shapes and designs. 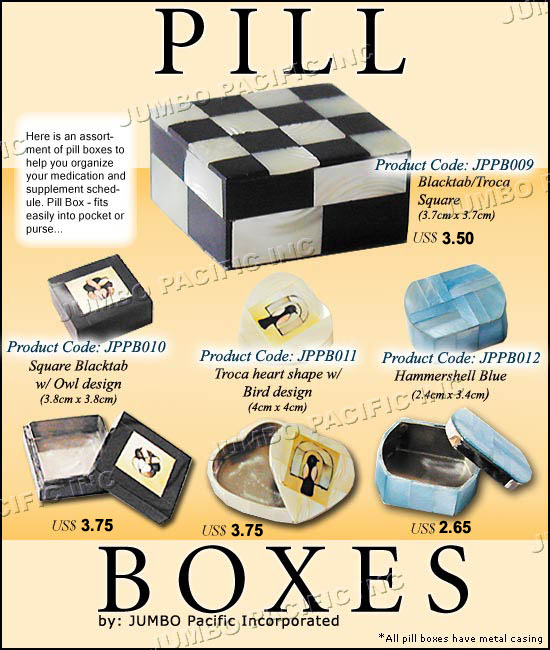 Pill box will help you to organize your medication and supplement schedule. It can be also used as home table decorations. It will bring stylish and elegant looks if you put it on the table tops. 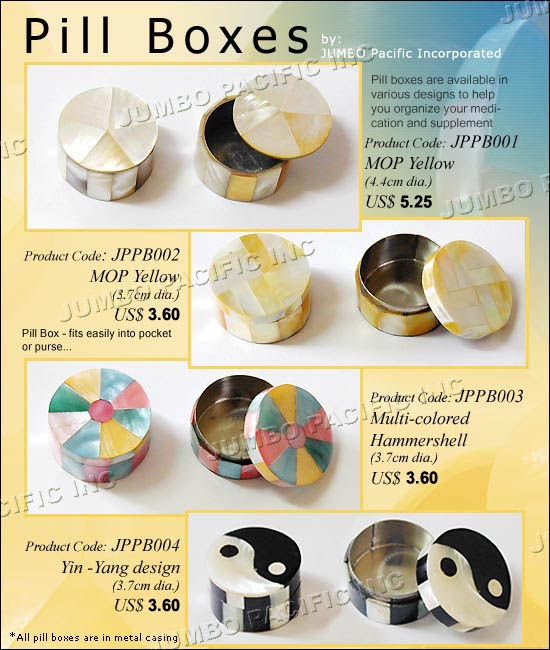 Pill boxes uses many kinds of sea shell like blacktab, hammer, mother of pearls, blacklip and many more. We also accepts customers designs at a very cost effective price. 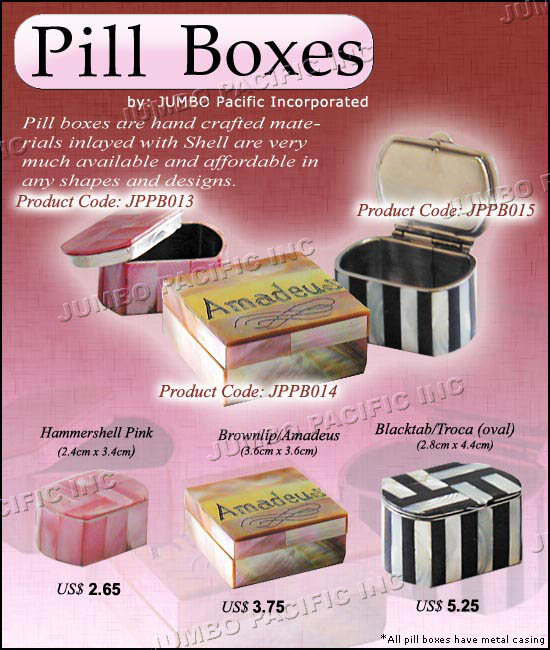 It is purely handmade and handcrafted by the finest pill box maker here in the Philippines. For more informations and designs keep on following us or you may contact us. Please refer below for the contact details.